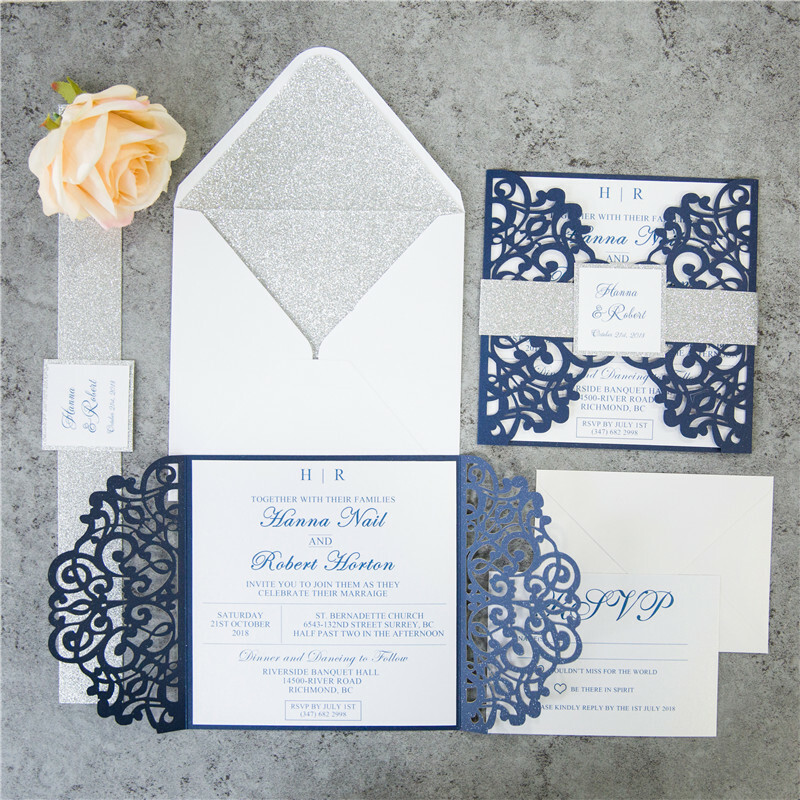 Looking for the perfect invite to "Wow" your guest! 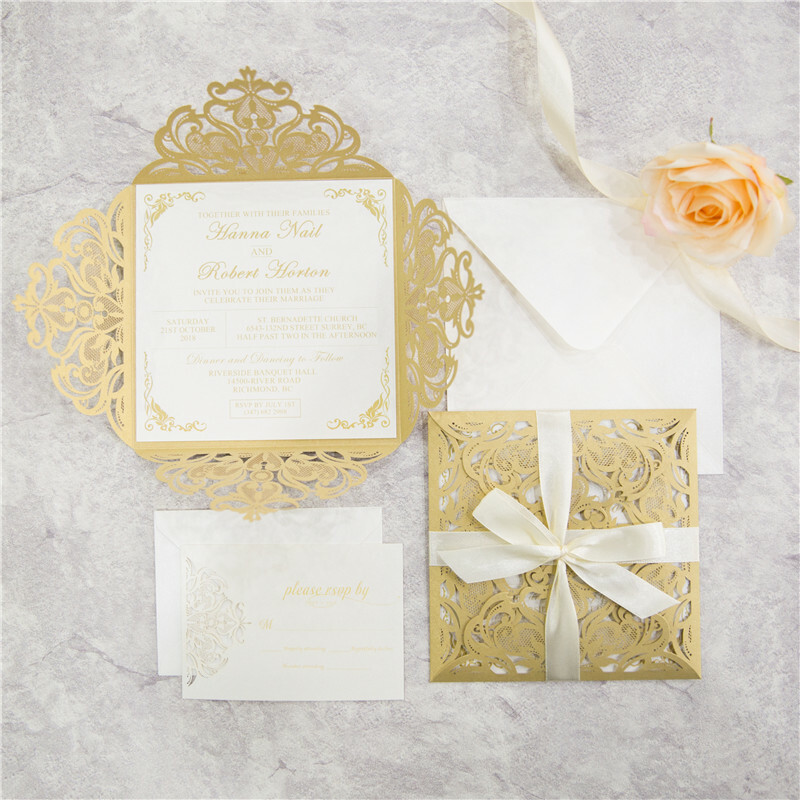 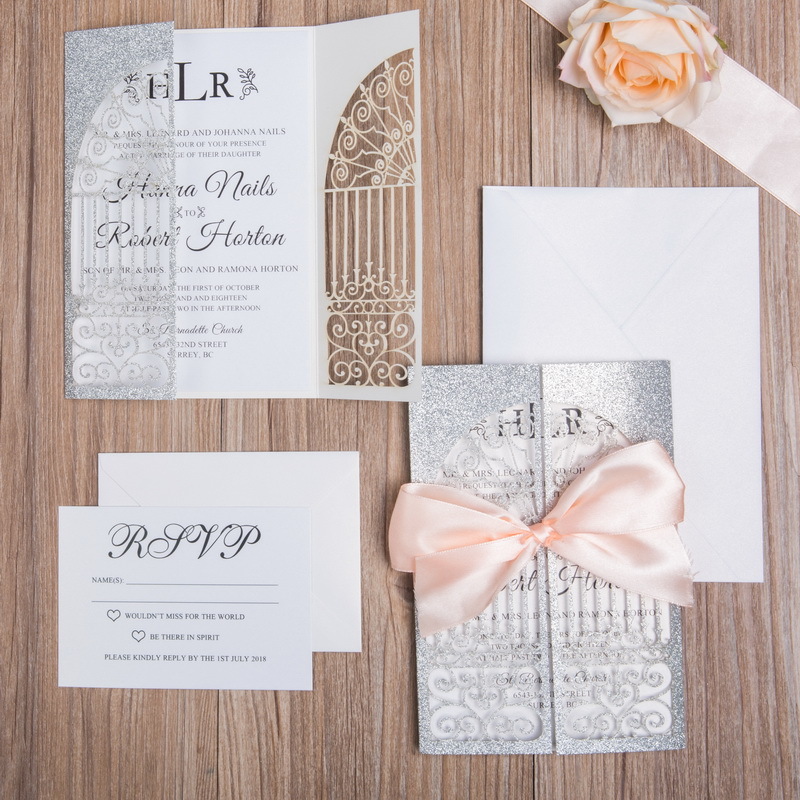 These elegantly beautiful Laser Cut Wedding Invitations will do just that, leaving an impression on your guest long after your Big Day! 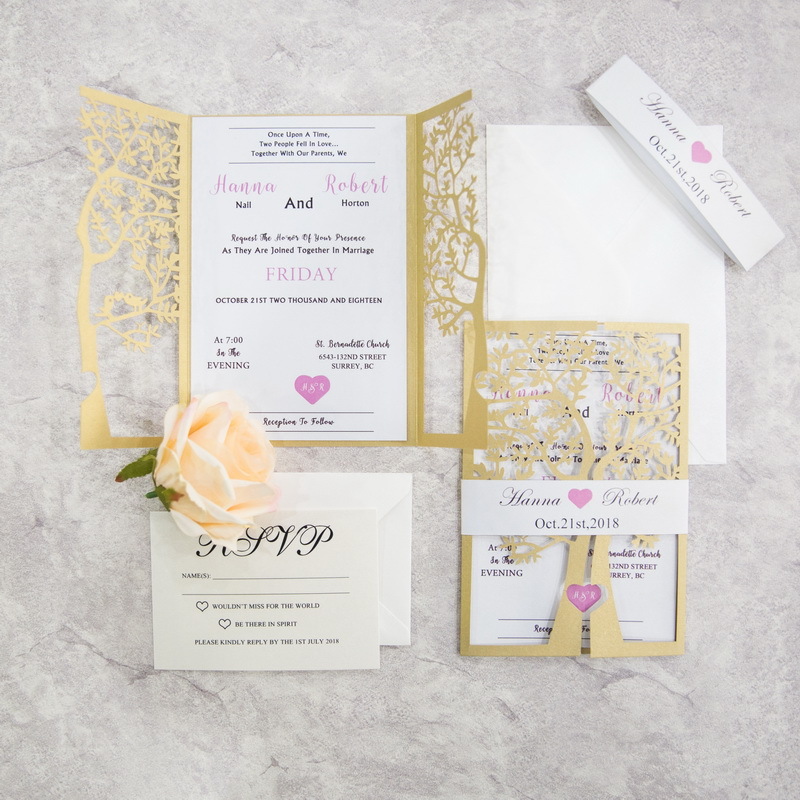 The laser cut cover, insert card, main envelope and belly band are all fixed items, however the wording on the inserts and tag can be changed. 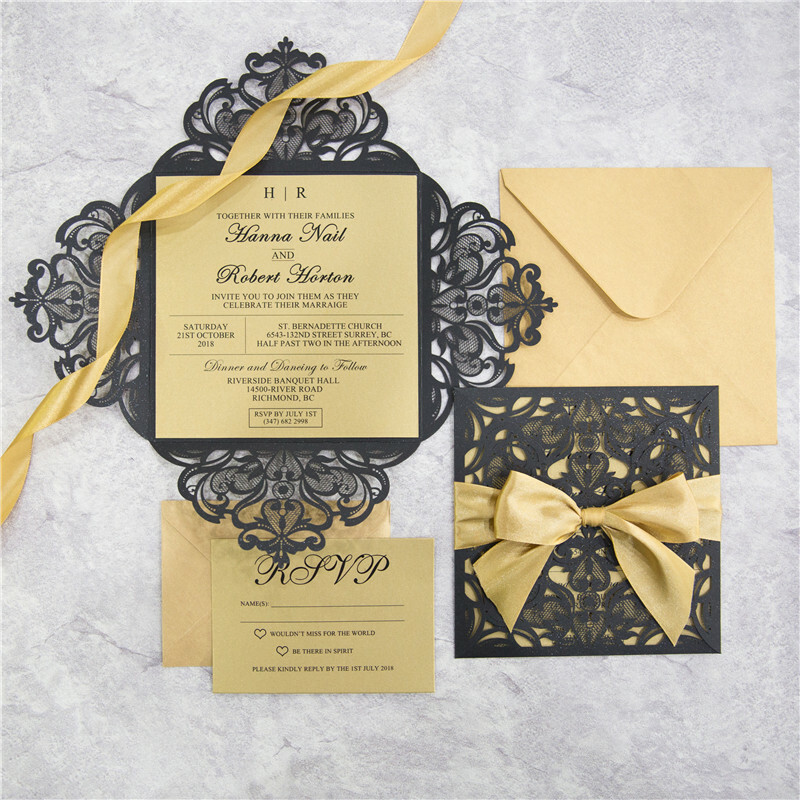 You can choose the RSVP card with the set or without.